The more you try to understand, the less you realize. Markets are expected to be driven by economic data, but they often end up following sentiments and expectations rather than taking into consideration both macroeconomics figures and corporate informations. 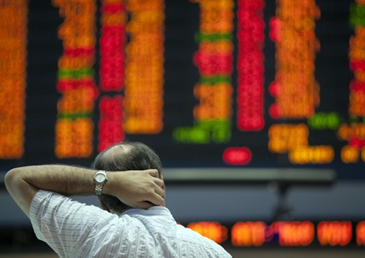 This article aims at looking up the reasons for such volatility in the Bovespa index. First of all, by analyzing its composition any reader will come to the conclusion that the major Brazilian index is deeply commodity dependent as the two most relevant stocks with regard to trading volume, respectively, Vale do Rio Doce and Petrobrás, account for almost 20% of the total (BM&F Bovespa, 2012). Therefore, the Bovespa index is led mostly by the prices of crude oil and iron ore.
One of the most important bottleneck is the strong conservatism which stops Brazilians from taking riskier positions by investing in the stock markets. Besides, a long history of high interest rates in Brazil leads people to benefit from fixed income products. As a percentage of the population, less than 0,3% of Brazilians claims to have any experience with stocks (Carta Capital Magazine, 2012). It’s important to emphasize that there is a variety of financial tools which allows investors to borrow money for certain interest and make bets on the stock markets. The higher the interest rate, the harder will be for borrowers to beat their obligations by profiting higher. Therefore, high interest rates inhibit capital inflow into the stock markets. Finally, Brazil is facing a bitter combination of inflationary process, which seems out of control after consecutive reductions of the Brazilian interest rate (SELIC), and lower growth corroborated by disappointing economic figures. Inflation is expected to benefit the economy by creating jobs and increasing the output – concept known in the economic spectrum as trade-off. That is not the case in Brazil. If inflation gains traction and the Brazilian government is forced to raise the interest rate, there will be more volatility in the Brazilian stock market as big players tend to relocate their funds by both shifting positions internally and repatriating a share of the money. Artur Salles Lisboa de Oliveira has been investing in the Brazilian stock markets for six years.